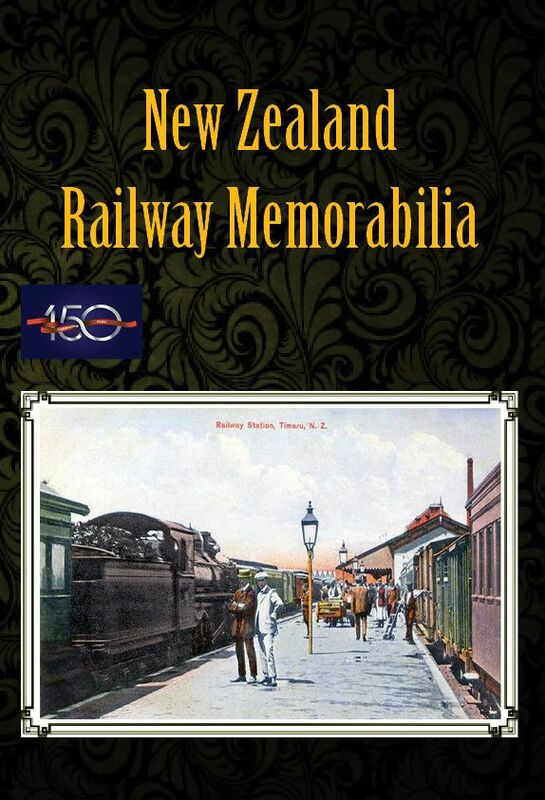 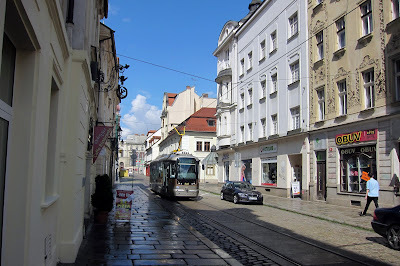 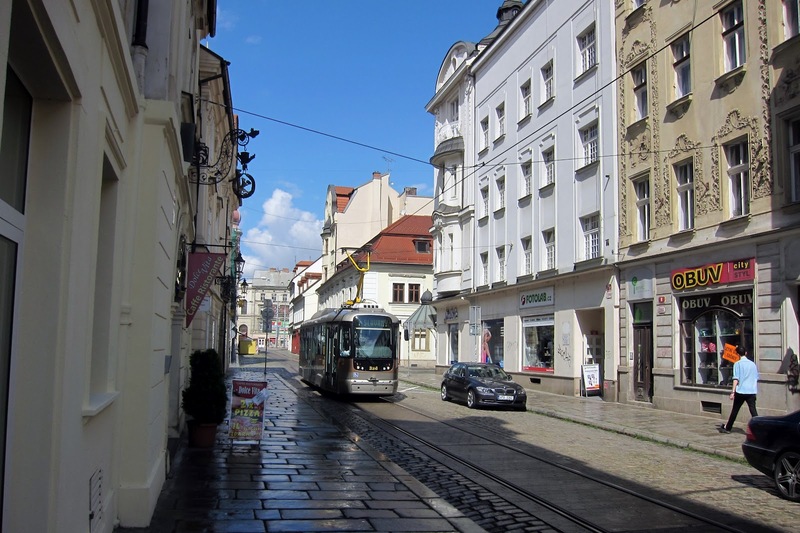 This city's electric tram system (standard gauge) has been operating since 1899 and is an important part of the city's public transport now as it has always been. 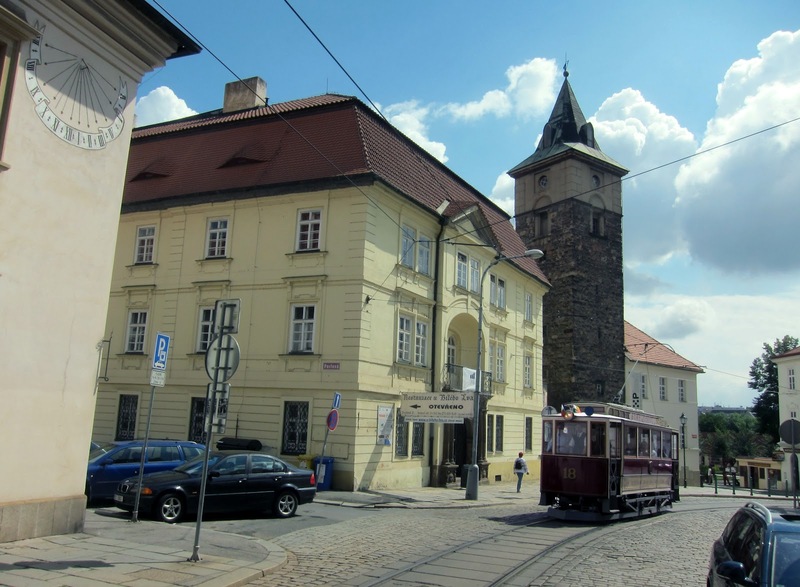 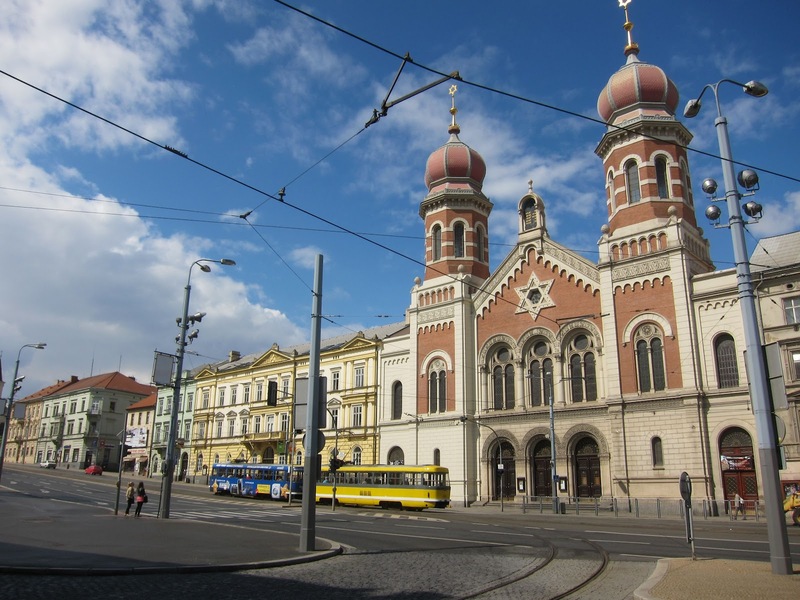 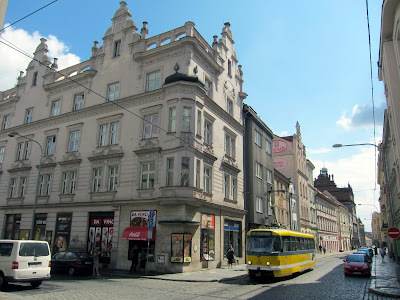 The city has been modernised considerably in the last 60 years, however, there is still a nicely preserved old town area centered around the Namesti Republiky (Republic Square) which contains St Batholomew's Church. 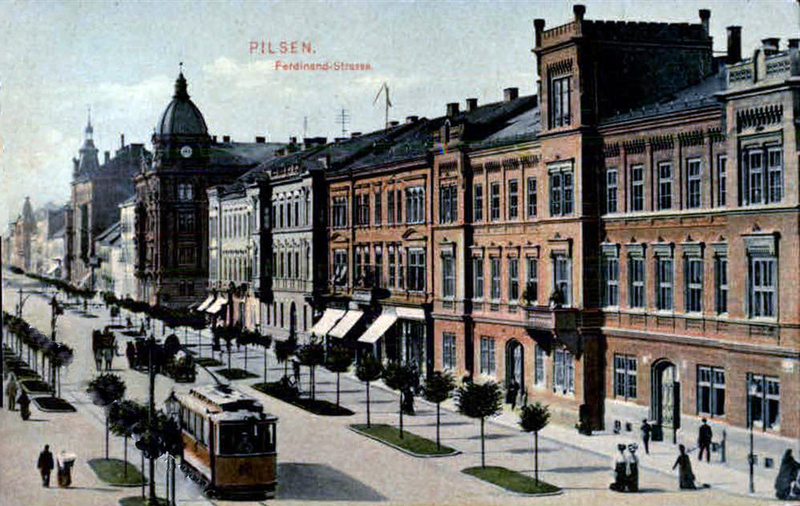 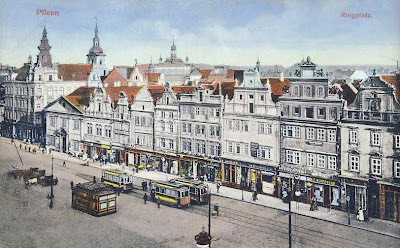 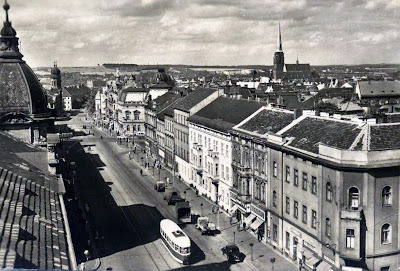 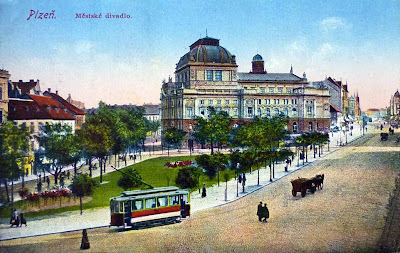 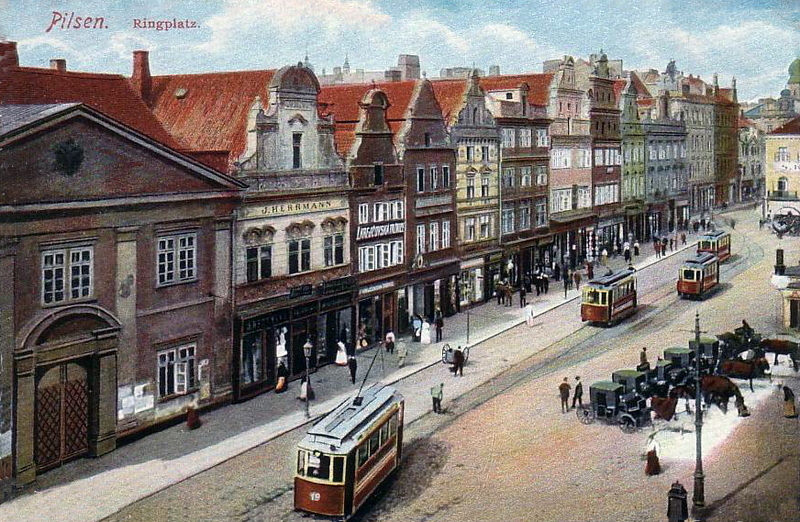 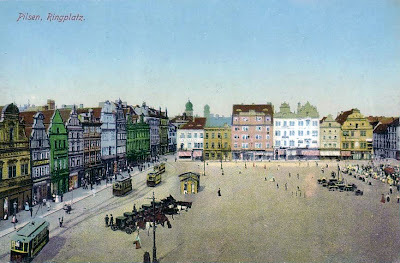 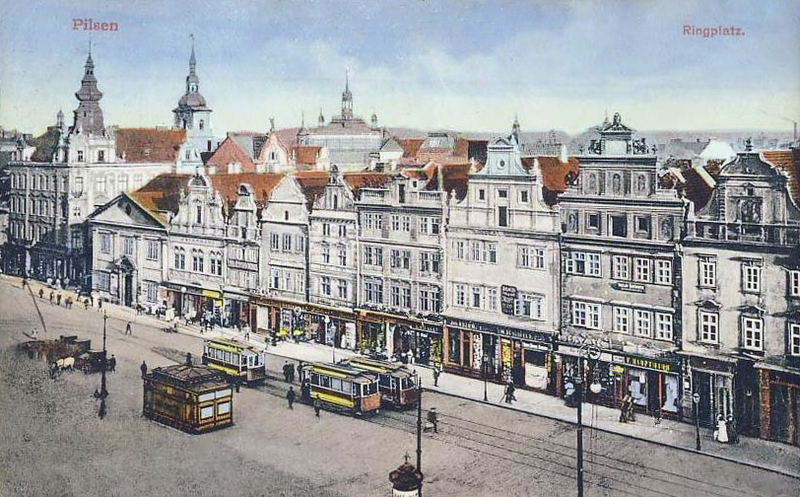 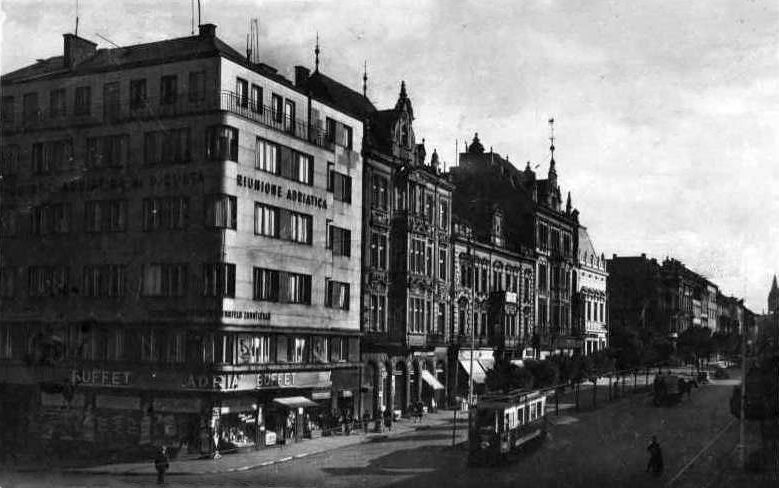 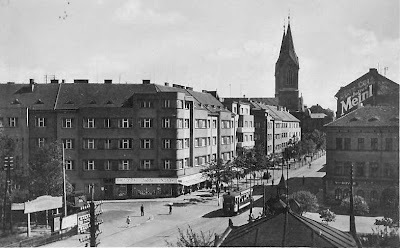 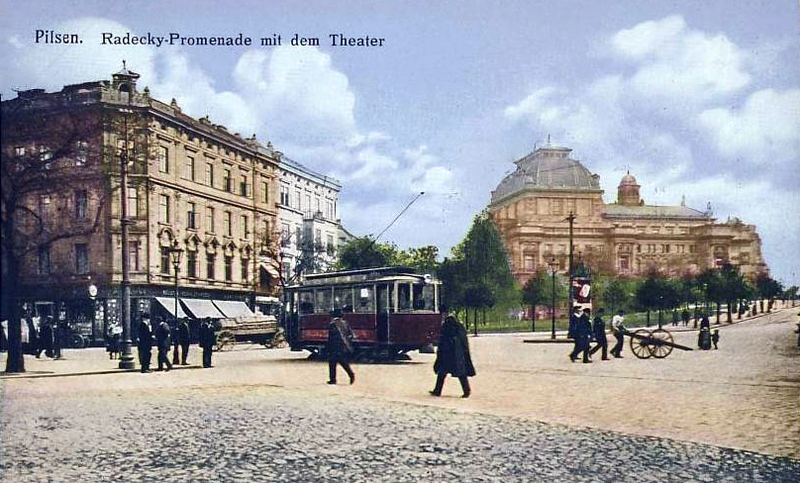 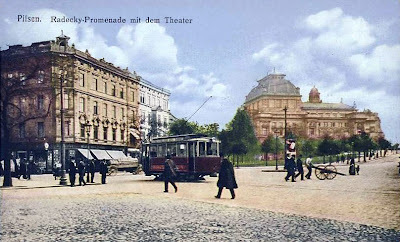 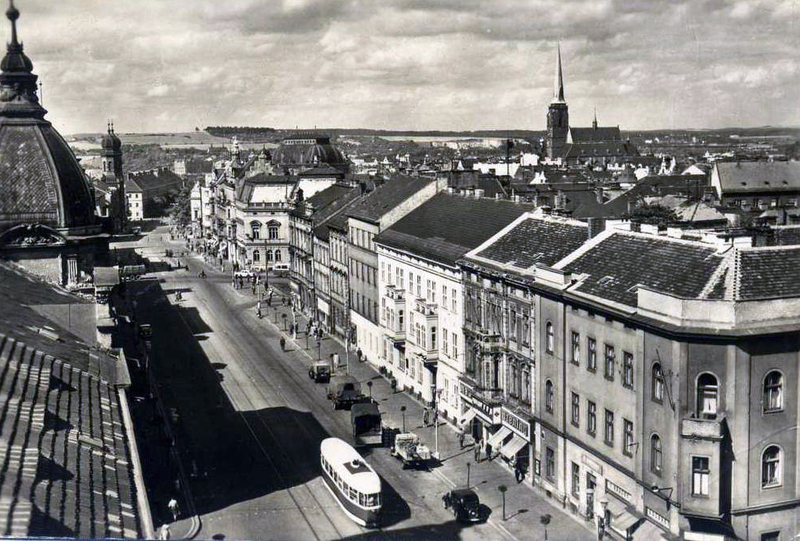 Until 1945 postcards were usually produced in German versions, but that year all German speakers were expelled from Czechoslavakia and all street signs became monolingual.